Listen Up Tip Toeing, Marching…..
Today’s message is about forgiveness. That it is key to a healthy life and death is an understatement. 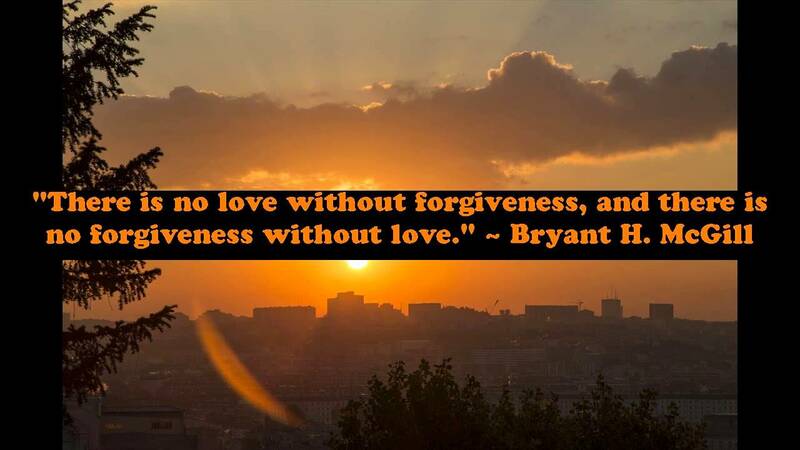 Forgiveness takes practice….lots and lots of practice. Fortunately, we get lots of opportunity to perfect our skill. Like many of our messages, we are asked to not just forgive others. We are also asked to forgive ourselves. Too often we are good at one but not the other. We have a model. Our God is the Master of forgiveness. Too him all things big and small are equal. No matter what we do, he still loves us. What he is looking for is a sincere and loving heart. We do not have to beg forgiveness. We don’t have to ask him over and over again. He hears us the first time and the first time we ask him with that sincere and loving heart, it is done. It is just that simple. All too often it is not that simple with ourselves. We don’t believe it. We hang onto our guilt long after God has forgiven us. We let our ego shame us. We feel unworthy. This unworthiness belief prevents us from being all that we can be and accepting all the gifts God has for us. All too often people reach their death beds and are afraid to die because they have unresolved issues and do not believe they have received forgiveness. God’s forgiveness is not the issue our lack of faith in him is. We are reminded today to practice forgiveness with ourselves and others on an ongoing basis. Do not hold on to anger and fear. Deal with it in the moment. Apologize with a sincere and loving heart, forgive others with a sincere and loving heart. Ask God’s forgiveness with a sincere and loving heart. Turn it over to God and let it go. Move forward in love, grace and peace. We have this power. It is a choice. We always have a choice. -Home early and a little cat nap. -Magnificent storms….but our poor dog was not as impressed. -Alex and I….on the same page.